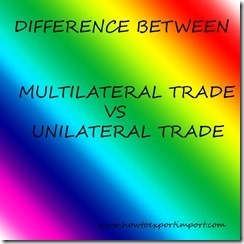 How to differentiate multilateral trade agreement and unilateral trade agreement? Multilateral trade agreements are made between two or more countries to strengthen economy of member countries by exchanging of goods and services among them. More details about multilateral trade agreements have been written separately in this web blog, you may click here to read; how does multilateral trade agreement work? How does unilateral trade agreement function? Unilateral trade agreements are the agreements between two nations for the purpose of exchange of goods and service each other for mutual benefit of both of the countries. A detailed article about the meaning, scope and objectives of unilateral trade agreement are explained separately in this web blog. You may kindly go through the same. Click here to read; how does unilateral trade agreement work? 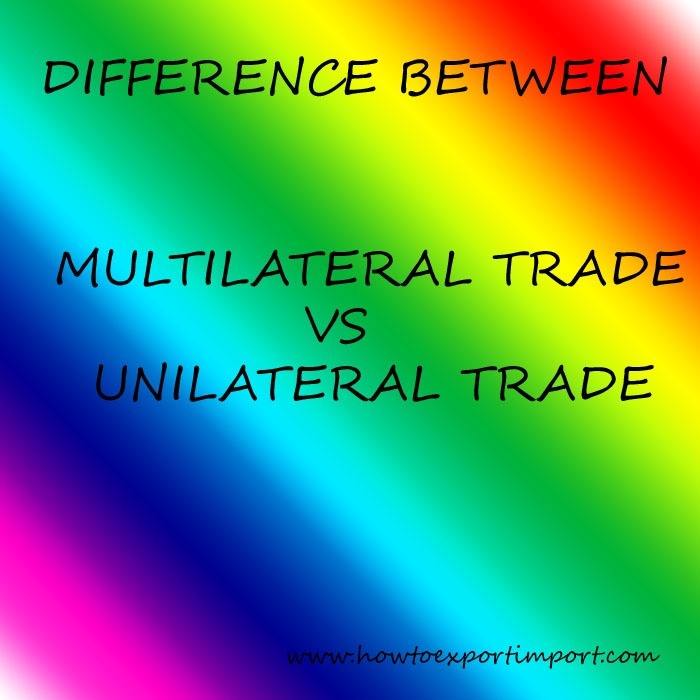 I hope, after reading the above two articles, you will have a clear idea the difference between multilateral trade agreement and unilateral trade agreement. If you wish to add more information, please comment below about unilateral Trade agreement Vs. Multilateral Trade Agreement. What is a Multilateral Agreement? How to prepare Shipping Advice in Export Import Trade?